For the Australian soap opera actor, see Bob Morley. For the English trade unionist and politician, see Robert Morley (trade unionist). Robert Adolph Wilton Morley, CBE (26 May 1908 – 3 June 1992) was an English actor who was usually cast as a pompous English gentleman representing the Establishment, often in supporting roles. In Movie Encyclopedia, film critic Leonard Maltin describes Morley as "recognisable by his ungainly bulk, bushy eyebrows, thick lips and double chin, ... particularly effective when cast as a pompous windbag." More politely, Ephraim Katz in his International Film Encyclopaedia describes Morley as "a rotund, triple-chinned, delightful character player of the British and American stage and screen." In his autobiography, Responsible Gentleman, Morley said his stage career started with managements valuing his appearance for playing "substantial gentleman" roles — as a doctor, lawyer, accountant or other professional member of society. As a playwright he co-wrote several plays for the stage. His 1937 play Goodness, How Sad was turned into a Ealing Studios film Return to Yesterday (1940) directed by Robert Stevenson. Later, he had outstanding success in London and New York with Edward, My Son, a gripping family drama written in 1947 in collaboration with Noel Langley. Morley played the central role of Arnold Holt, but in the disappointing film version Spencer Tracy was miscast, turning Holt, an unscrupulous English businessman, into a blustering Canadian expatriate. Edward, My Son (1949) was directed by George Cukor for MGM-British. His acting career continued with roles as a missionary in The African Queen (1951), The Story of Gilbert and Sullivan (1953), as W. S. Gilbert, and in Oscar Wilde (1960). In 1959 he appeared in an Alfred Hitchcock Presents adaptation of a Stanley Ellin short story entitled, 'Specialty of the House'. Morley also personified the conservative Englishman in many comedy and caper films. He was the face of BOAC (later British Airways) as the merry television commercial spokesman of the 1970s with "We'll take good care of you" for British Airways. Later in his career, he received critical acclaim and numerous accolades for his performance in Who Is Killing the Great Chefs of Europe?. During the 1980s, Morley hosted a celebrity cooking show on Cable TV, Celebrity Chefs. He also hosted (providing explanatory introductions) the Granada Television series (1980–81) Ladykillers. Morley lived for decades at Wargrave, Berkshire. Woman Times Seven (1967) as Dr. Xavier - episode "Super Simone"
^ a b "Robert Morley". ^ Binder, Michael (1 July 2011). "Halliwell's Horizon". Lulu.com – via Google Books. ^ Larger than life: the biography of Robert Morley - Margaret Morley - Google Books. Books.google.com. Retrieved 12 June 2012. ^ "PASSED/FAILED: Sheridan Morley". 22 May 1997. ^ a b c d e f "Robert Morley, Jowly Actor Of Jovial Roles, Dies at 84". The New York Times. 4 June 1992. ^ McLaren, Angus (15 September 2017). "Playboys and Mayfair Men: Crime, Class, Masculinity, and Fascism in 1930s London". JHU Press – via Google Books. ^ League, The Broadway. "Oscar Wilde – Broadway Play – Original - IBDB". www.ibdb.com. ^ "1938 Academy Awards® Winners and History". www.filmsite.org. ^ "Return to Yesterday (1940)". ^ "Edward, My Son (1949) - George Cukor - Review - AllMovie". AllMovie. ^ "Alfred Hitchcock Presents: Specialty of the House (1959) - Robert Stevens - Synopsis, Characteristics, Moods, Themes and Related - AllMovie". AllMovie. ^ a b "Robert Morley - Biography, Movie Highlights and Photos - AllMovie". AllMovie. ^ "Who Is Killing The Great Chefs Of Europe?". TVGuide.com. ^ marcus, laurence. "LADYKILLERS - A TELEVISION HEAVEN REVIEW". www.televisionheaven.co.uk. ^ "Morley, Robert (-1992) - People and organisations". Trove. ^ Pettigrew, Terence (4 November 1982). "British Film Character Actors: Great Names and Memorable Moments". Rowman & Littlefield – via Google Books. ^ "BFI Screenonline: Morley, Robert (1908-1992) Biography". www.screenonline.org.uk. ^ Morley, Sheridan (27 February 2005). "The final curtain" – via www.telegraph.co.uk. Harry Fleetwood Andrews, CBE was an English actor known for his film portrayals of tough military officers. 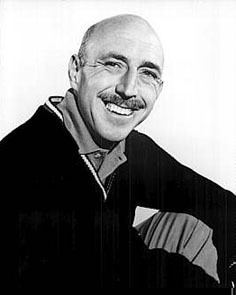 His performance as Sergeant Major Wilson in The Hill alongside Sean Connery earned Andrews the 1965 National Board of Review Award for Best Supporting Actor and a nomination for the 1966 BAFTA Award for Best British Actor. The first of his more than 80 film appearances was in The Red Beret in 1953. Cecil André Mesritz, known professionally as André Morell, was an English actor. He appeared frequently in theatre, film and on television from the 1930s to the 1970s. His best known screen roles were as Professor Bernard Quatermass in the BBC Television serial Quatermass and the Pit (1958–59), and as Doctor Watson in the Hammer Film Productions version of The Hound of the Baskervilles (1959). He also appeared in the films The Bridge on the River Kwai (1957) and Ben-Hur (1959), in several of Hammer's horror films throughout the 1960s and in the acclaimed ITV historical drama The Caesars (1968). Lionel Charles Jeffries was an English actor, screenwriter and film director. William Finlay Jefferson Currie was a Scottish actor of stage, screen, and television. He received great acclaim for his roles as Abel Magwitch in the British film Great Expectations (1946) and as Balthazar in the American film Ben-Hur (1959). Max Adrian was a Northern Irish stage, film and television actor and singer. He was a founding member of both the Royal Shakespeare Company and the National Theatre. Robert Coote was an English actor. He played aristocrats or British military types in many films, and created the role of Colonel Hugh Pickering in the long-running original Broadway production of My Fair Lady. Peter van Eyck was a German-born film actor. He was born Götz von Eick on 16 July 1911 in Steinwehr, Pomerania, German Empire and died 15 July 1969 in Männedorf near Zürich, Switzerland). He was perhaps best known for his roles in the 1960s features The Spy Who Came in from the Cold, Shalako and The Bridge at Remagen. Edward Chapman was an English actor who starred in many films and television programmes, but is chiefly remembered as "Mr. Wilfred Grimsdale", the officious superior and comic foil to Norman Wisdom's character of Pitkin in many of his films from the late 1950s and 1960s. Dennis Anthony John Sharp was an English actor, writer and director. Jack William Frederick Gwillim was an English character actor. Lloyd Nelson Lamble was an Australian actor who worked in theatre, television, radio and film. He lived and worked for most of his life in the United Kingdom. Wensley Pithey was a South African-born character actor who had a long stage and film career in England. Sir Ralph Richardson (1902–1983) was an English actor who appeared on radio, film, television and stage. Described by The Guardian as "indisputably our most poetic actor", and by the director David Ayliff as "a natural actor ... [who] couldn't stop being a perfect actor", Richardson's career lasted over 50 years. He was—in the words of his biographer, Sheridan Morley—one "of the three great actor knights of the mid-twentieth century", alongside Laurence Olivier and John Gielgud.